Everyone loves ghosts, it's a fact. Their ability "Sniper" is a fun ability to use. It *is* a bit boring however, so let's spice it up. 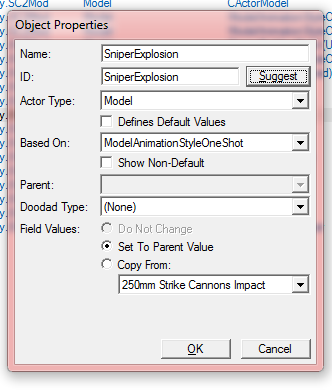 I'll be Adding a Siege Tank explosion to the sniper's target using actors. Actors are applied to Abilities (as well as behaviors and anything else really) through "Events" which work like triggers. So let's start by creating an actor. 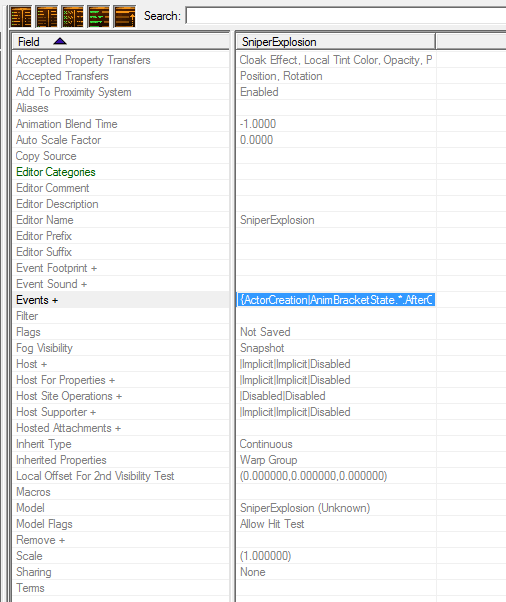 The left hand side is the list of the events, right click here and click "Add Event"
On the right panel, select "Msg Type" to be "Ability"
Set the "Source Name" to be "Ghost - Sniper"
Set the "Sub Name" to be "TargetFinishStart"
On the right, change "Msg Type" to "Create"
That's it you're done, the event's set! 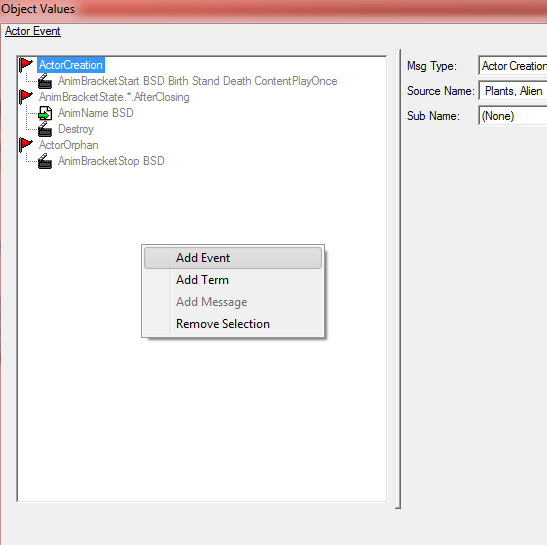 Set the dialog to "Siege Tank Sieged Attack Impact"
When a model has multiple states (such as baneling, it has spawning, walking regular, superior walk (which is baneling animation rolling as if it had speed upgrade) how do you go about selecting which one you want to use? 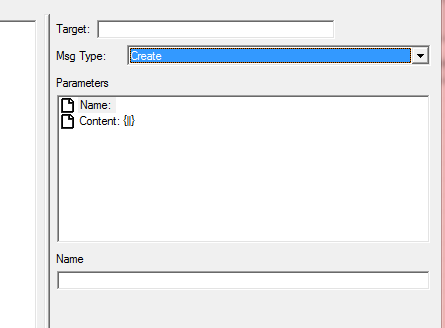 I've looked everywhere, and unfortunately I don't understand the effects+ field too well yet, so I have no idea how to set it how i want. To put it in context this is what i did: I made an overseer with an ability to spawn a baneling and put it on the command card, then made a trigger to give an order to all banelings to automatically use explode, so it looks like the overseer is essentially bombing beneath it. However, the baneling currently "appears" below the overseer, and I want the baneling to drop first, using the rolling animation, and then explode once it lands (since I copied from the changeling effect I figured it'd work the same, but it doesnt). I'd appreciate some help, I read somewhere on the sc2 beta forums I might have to make the ability a missile effect, and IDK if that means I'd have to restart it from scratch? You could do it with units (like changeling), but if you're just going to have the baneling exploding, a custom ability using missiles and movers and such might be better (though maybe not easier).